A 40th Birthday cake with pink flowers and butterflies. Chocolate sponge layered with chocolate buttercream and dark chocolate ganache. 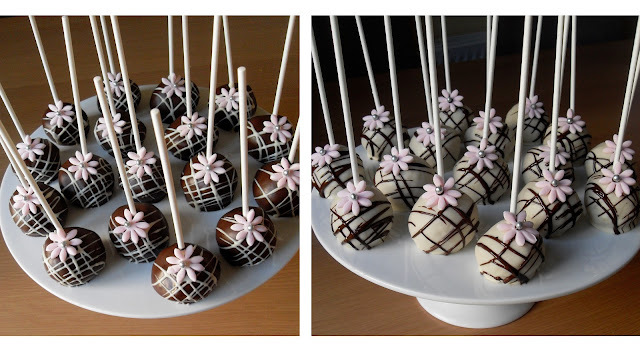 Cake pops for a 21st birthday party. Vanilla cake truffles dipped in dark chocolate and white chocolate and topped with pink flowers with silver centres.